Sitting Hotai Buddha carving in Rainbow Jasper. Rainbow Jasper has interesting bands of deep rainbow, brown and cream hues. Jasper is a mystical stone, said to stimulate creative visualization and increase global awareness. 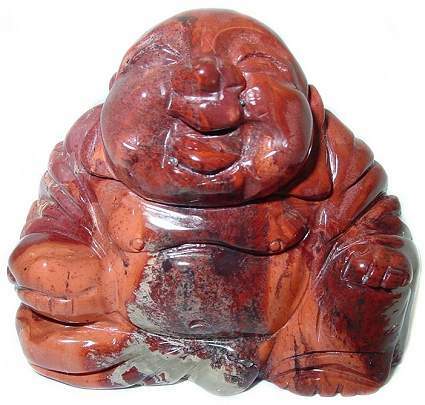 The Happy Buddha is a frequent Feng Shui cure, said to bring wisdom, prosperity and happiness.